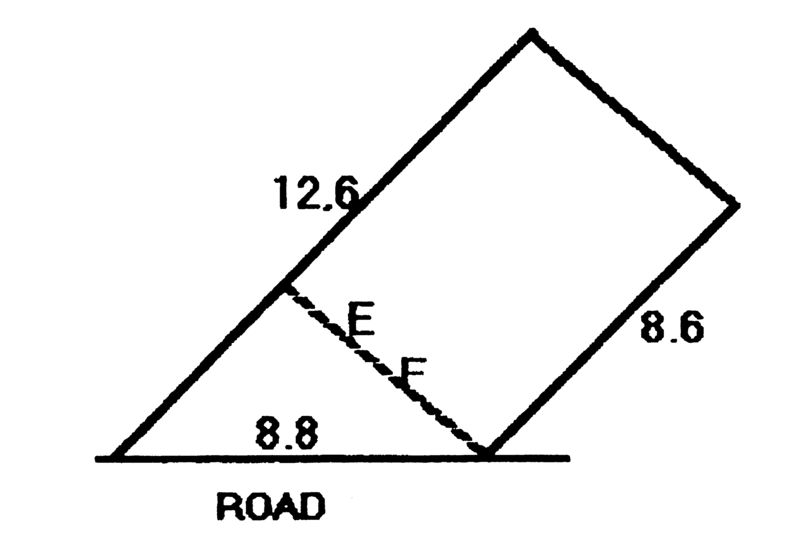 Most subdivided lots are of good size and have a regular rectangular shape that is, they have good plottage. However, some lots do not have a good shape making them more difficult to utilize. Therefore, their utility value and highest and best use are less than that for lots with good plottage. Irregular shaped blocks can be valued using effective dimensions if the land is not too irregular. 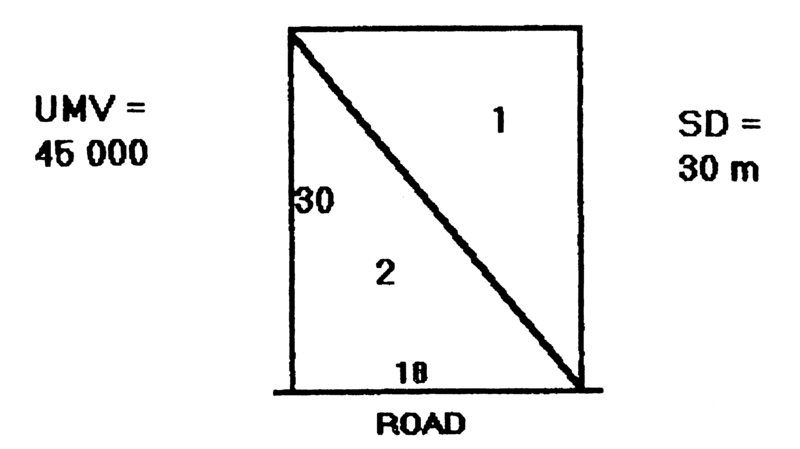 Some irregular blocks are caused by road resumptions leading to truncated blocks. The effective frontage is the rectangular or square width of the lot. For the example attached it is about 7 metres. 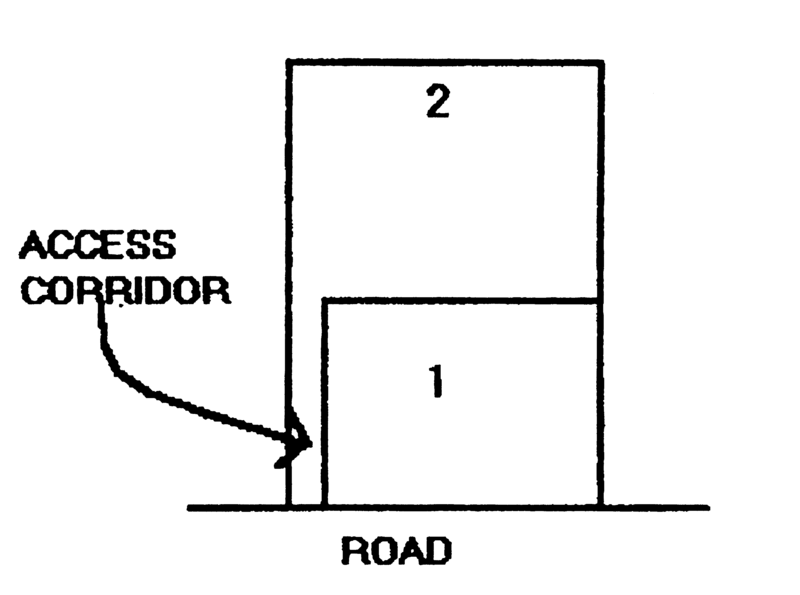 Therefore, the value of the irregular lot is equivalent to the value of the regular block shown in the attached diagram. The land is valued as a 7 * 10.6 regular lot using normal valuation methods. The cul de sac is a popular and efficient method of subdivision in residential and industrial developments. It is particularly useful for accessing otherwise, landlocked rear land common in large in globo lands. 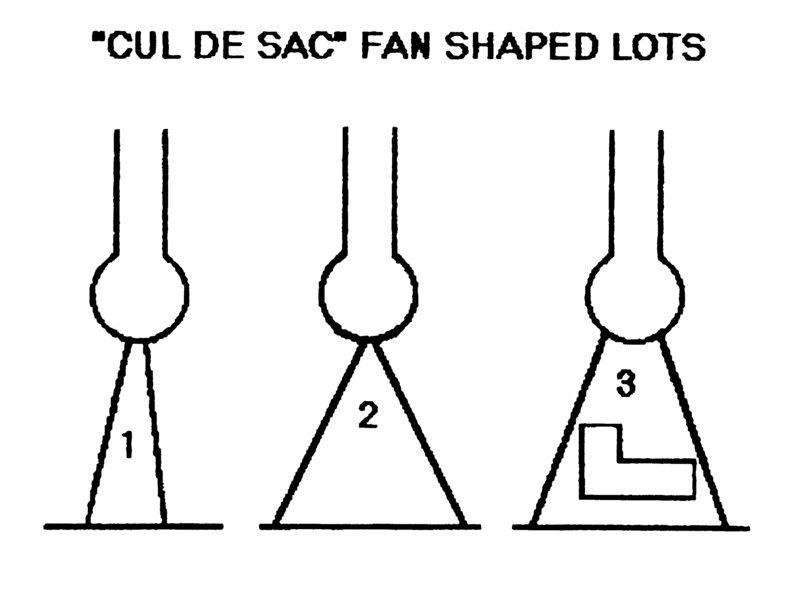 Typical lots that result at the end of the cul de sac are called fan shaped blocks. To value fan shaped blocks they can be converted into equivalent regular shaped lots using the effective dimensions method. 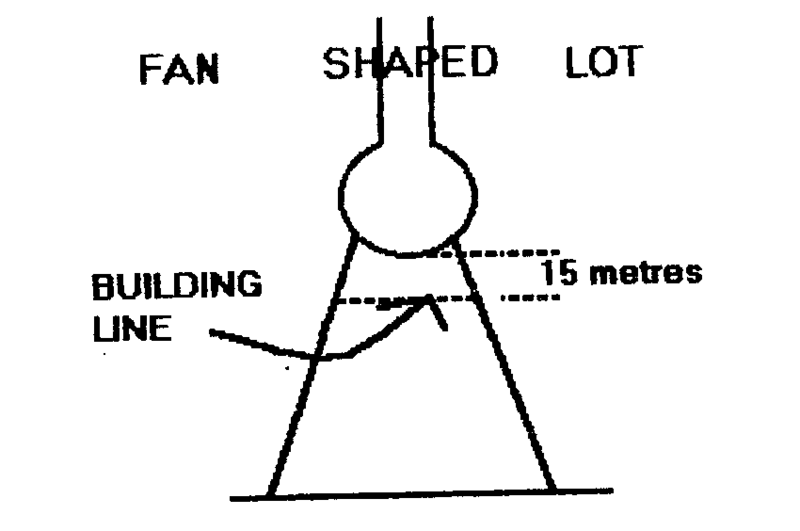 The attached diagram shows 3 fan shaped blocks of different shapes and sizes. The 3 lots above are residential fan shaped lots typically found at the end of a cul de sac subdivision. The first two have poor plottage (shape) as it is difficult to fit an average size house and garage on the land. Further, it is difficult to use the triangular corners for example, a swimming pool. Such lots have poor utility compared to otherwise equivalent inside blocks and therefore, a lower market value. The loss of utility is even more marked if the land use is more intensive for example, industrial land. The poor plottage would lead to increased building costs and wasted space compared to inside industrial land. Valuers have devised methods for valuing land with poor plottage using effective dimensions. The effective frontage is the width of the lot at the building alignment. 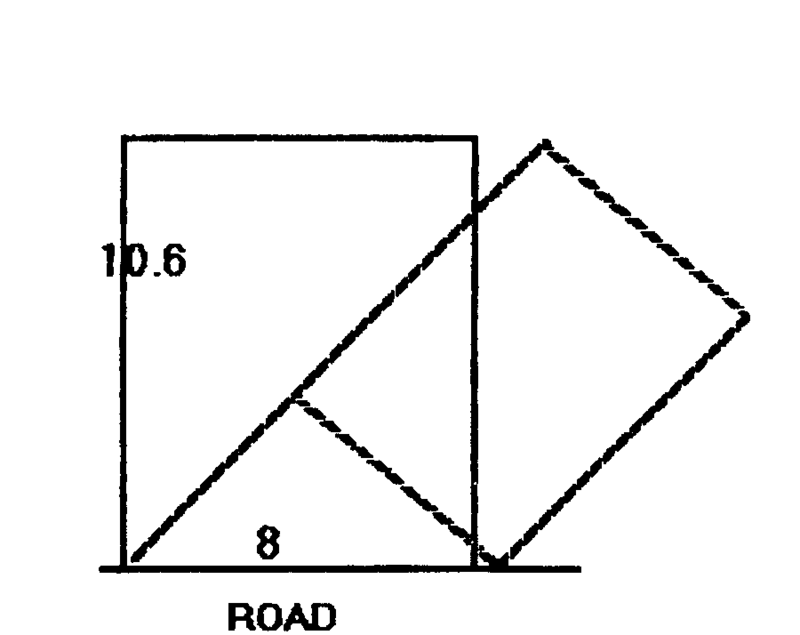 The building alignment is the distance from the frontage to the building line (the setback at which the house is allowed to be built). This will depend upon council and development authority policy and is usually stated in the town plan. For example, in the attached diagram the effective frontage is about 35 metres. The effective depth is the square depth of the lot from the street frontage. For the diagram above it is about 65 metres. The fan shaped lot is valued as if it is a regular lot with a frontage of 35 metres and a depth of 65 metres. Battleaxe or hatchet shaped blocks are an efficient way of subdividing rear land or otherwise "landlocked" land. A battleaxe lot is illustrated below. length, slope, and state or repair of the access corridor. plottage and area of the useable block. aspect or view does it adjoin a reserve? neighbours. The more neighbours then less value because of loss of privacy, the need of having to negotiate with a number of neighbours over fencing matters and the unsightliness of boundary fences constructed with different materials. 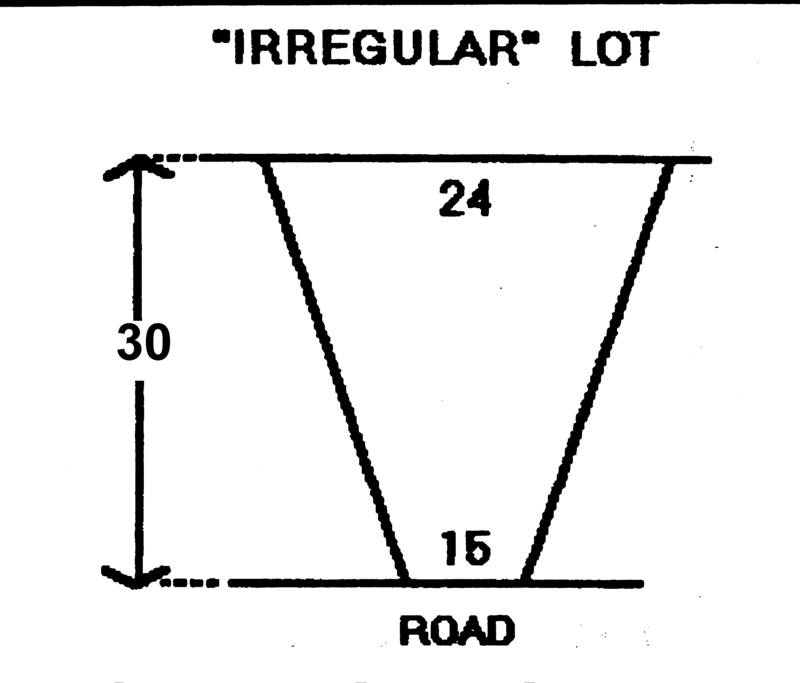 THE VALUATION OF IRREGULAR LOTS USING THE "AUSTRALIAN RULE"
R = width of rear line. The effective depth is the square depth from the frontage. For the above lot is about 30 metres. The lot can now be valued as a normal rectangular lot with the dimensions; 18 * 30 metres. NB: Lot 1 is assumed to have some access to the street.